The proposal of aid to Pakistan comes weeks after the Trump administration suspended nearly USD 2 billion in security assistance to Islamabad due to its inability to take action against terrorist groups operating from its soil. 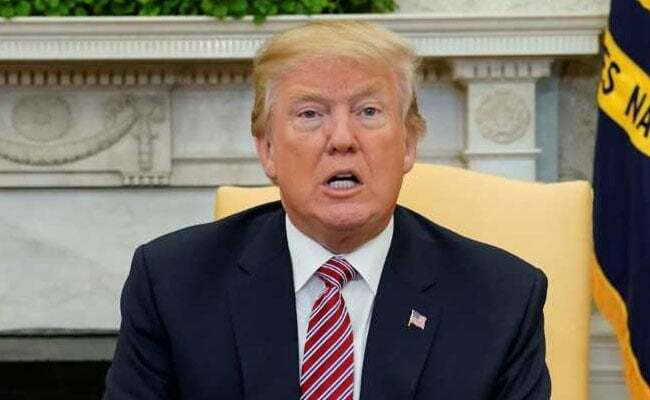 Washington: US President Donald Trump today unveiled a USD 4 trillion annual budget for the fiscal 2019 beginning October 1, proposing USD 256 million in civilian assistance and USD 80 million in military aid to Pakistan. The proposal of aid to Pakistan comes weeks after Trump administration suspended nearly USD 2 billion in security assistance to Islamabad due to its inability to take action against terrorist groups operating from its soil. The White House has said it would consider lifting the freeze if it sees action by Pakistan against terrorist groups. The budgetary proposal says that the military aid depends on Pakistan taking action against terrorist safe havens. "The budget requests USD 256 million for Pakistan in economic and other assistance to help increase stability, promote economic growth and create opportunities for US businesses," said the annual budgetary proposals sent by the White House to the Congress. "In addition, the Budget requests USD 80 million in Foreign Military Financing assistance to enhance Pakistan's counter-terrorism and counter-insurgency capabilities, contingent on Pakistan taking appropriate action to expand cooperation in areas where US-Pakistan interests converge and to address areas of divergence, in line with the administration's South Asia strategy," the White House said. The budget furthers the US goal of a stable and secure South Asia by supporting the Afghan government and security forces in their fight against the Taliban insurgents and jihadist terrorist organisations such as al-Qaeda and ISIS. It requests more than USD 5 billion for continued US training and assistance for the Afghan security forces and would enable US forces to conduct counter-terrorism operations to ensure that the region cannot be used by jihadist, terrorist groups to plot transnational attacks against the US homeland, citizens overseas, or allies and partners. "The budget also continues to include funding to support America's partnership with Pakistan," it said. The budget's more than USD 630 million for civilian assistance supports the President's new strategy to empower the people of Afghanistan to take ownership of their future, the White House said. In addition, the budget strengthens and sustains improvements in education, health, governance and other sectors that are essential for securing a stable and prosperous Afghanistan. It also allows the US to honour the pledge made at the Brussels conference on Afghanistan, which anticipated gradually declining assistance levels, it added.